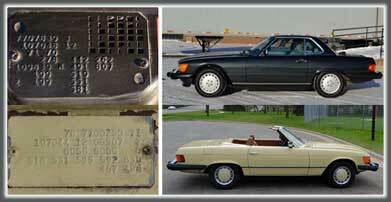 Making sense of all the option packages on new Mercedes-Benz vehicles can be daunting. 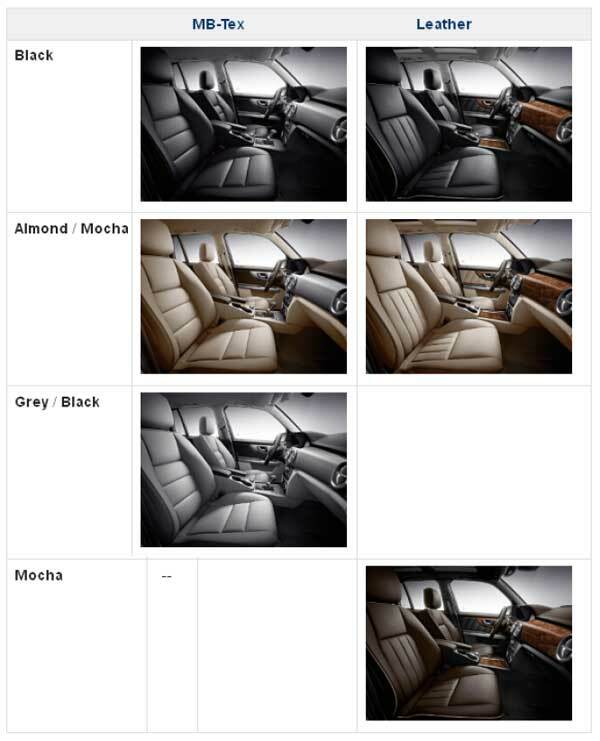 This article is meant to assist potential buyers of used or Certified Pre Owned (if buying from a franchised Mercedes-Benz dealer) 2014 Mercedes GLK Class including the GLK 350 and GLK 250 BlueTEC diesel SUVs by laying out the different option packages, stand alone options, colors, interiors, etc. available on these vehicles when new and their pricing. A 2014 GLK 250 BlueTEC diesel in Dolomite Brown. First, a brief intro to the GLK Class. The first GLK models were GLK 350s introduced in February of 2009 as 2010 models. They sold well and the new ‘entry level’ SUV class was quickly accepted and loved by its owners. The body style and specs remained the same through the 2012 model year. In 2013 the GLK received a body style ‘facelift’ but more serious changes were made to the interior and under the hood. Exterior changes included new front and rear bumper areas, lights and grille, however all sheet metal stayed the same. It was the interior that was changed most significantly. The transmission shift lever was moved from the console to the steering column, making way for even better cup holders. The dash and vents were redesigned, a lot of changes, but the dimensions and seating remained the same. Mercedes installed their new 302 horse power direct injection V6 into the GLK in 2013 too. 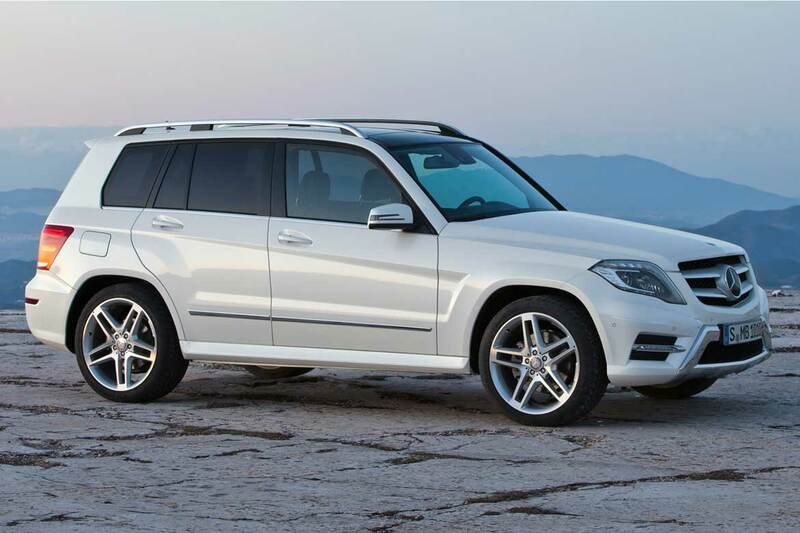 The 2014 GLK 350 is essentially the same as the 2013 model. 2014 was the first year for the GLK 250 BlueTEC diesel version of this little SUV (really more of a cross over if you ask me, as it’s built on the C class sedan platform). The only changes for the 2014 model year were a couple of new option packages and a new exterior color, Dolomite Brown, which replaced Cuprite Brown. 2014 was the second to the last year for this body style, and in fact, for the GLK class period. Mercedes replaced the GLK with the GLC class for the 2016 model year, “GL” denoting SUV and “C” denoting the small class, like the C class sedan. They really just renamed the class, as the GLC is still the small SUV. The 2016 GLC class vehicles were completely new in terms of design and styling. Personally, I prefer the GLK, my wife has a 2012 model. Rear visibility in the GLC is horrible and it looks like a Honda CRV or Toyota RAV4. My biggest gripe: Mercedes started using their new 2.0 liter turbo charged 4 cylinder engine with just 241 horse power in the GLC, 27 less horsepower than in the GLK’s V6 that had 268 HP, and for an negligible MPG gain. So, I’m a fan of the smaller, more stylish and unique GLK class. 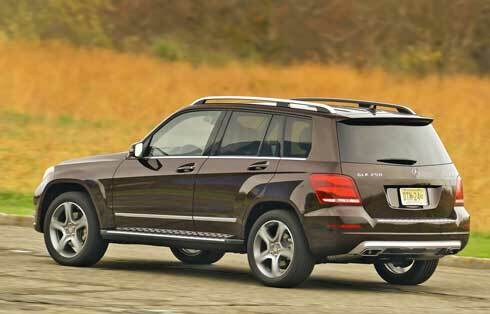 Base price of a 2014 GLK 350 4matic was $39,480, base price of a GLK 250 BlueTEC (diesel) was $38,980. Remember, ALL new 2014 Mercedes vehicles had a $925 destination and delivery charge on their window sticker to cover shipping. It’s easy to see why most GLKs that actually exist were $45,000+ vehicles once you had some options and many were $50,000+. Let’s get into the option packages. The P1 Package was a very popular package and MOST 2014 GLK models you find will have this package. Afterall, who can live without a power liftgate? This was a new one for the 2014 model year, strictly an esthetic package. As usual, Mercedes charges extra for metallic colors, $720 for any color other than Mars Red, Black or Polar White for the 2014 GLK class. 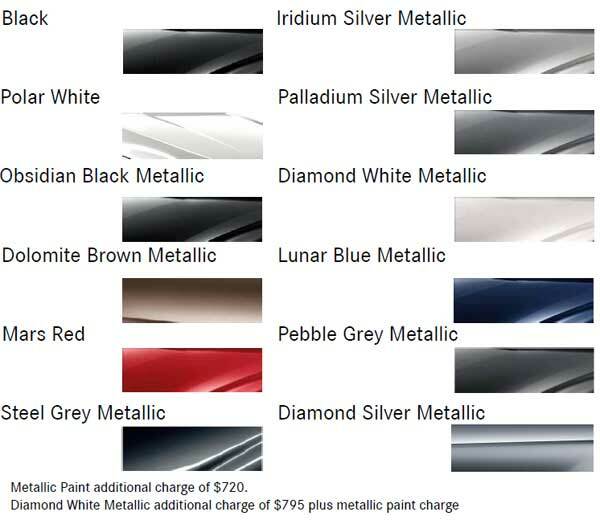 Diamond White Metallic had it’s own special charge, $795 on top of the $720 adding up to a $1,500+ paint option. Dolomite Brown was a new color for 2014, it replaced Cuprite Brown which Mercedes introduced in 2010 for the new E class and then offered it on other classes and models. 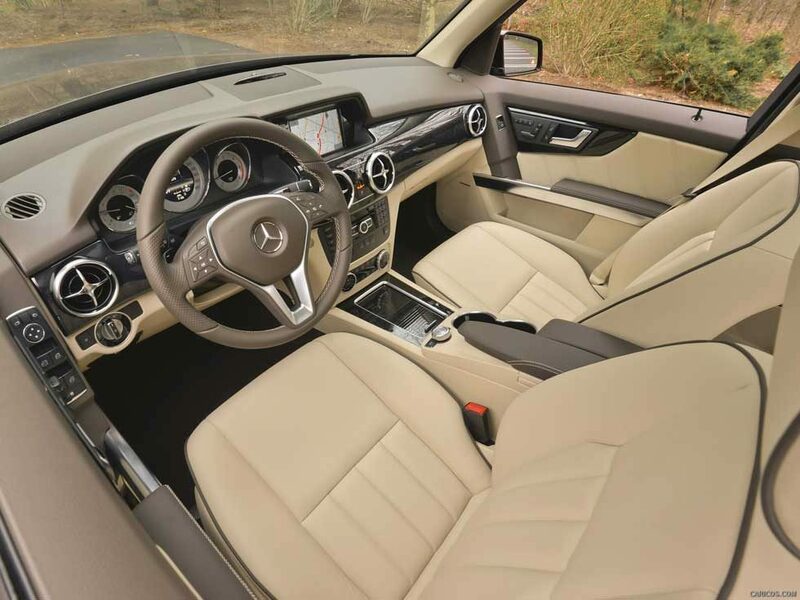 The vast majority of GLK class vehicles were equipped with MB tex interior, leather is actually quite rare. I’ve only ever seen it on TWO examples, almost all have MB tex (want to learn all about Mercedes’ proprietary faux leather material, see this article on Mercedes-Market.com). There were three MB tex options and three leather options. Notice the slightly different stitch pattern on the seats depending upon material. Also, leather seats have more pronounced piping. Here is the interior of a 2014 Mercedes GLK 350 with Almond Mocha leather interior with Black Ash wood trim. Burl Walnut wood was standard in all 2014 GLK models, Black Ash wood and Aluminum were available as special order options. There were just three interior trim options for 2014 GLKs. Burl Walnut wood was standard, and most common. Black Ash Wood and Aluminum were both available as special order options. As I’ve said before, ‘special order’ means a customer can ‘build out’ a car to their specs via special order and wait about 90 days for it to show up to their local dealership for delivery or, it’s possible that Mercedes would just build some cars with a special order option and it arrive in regular dealer inventory. 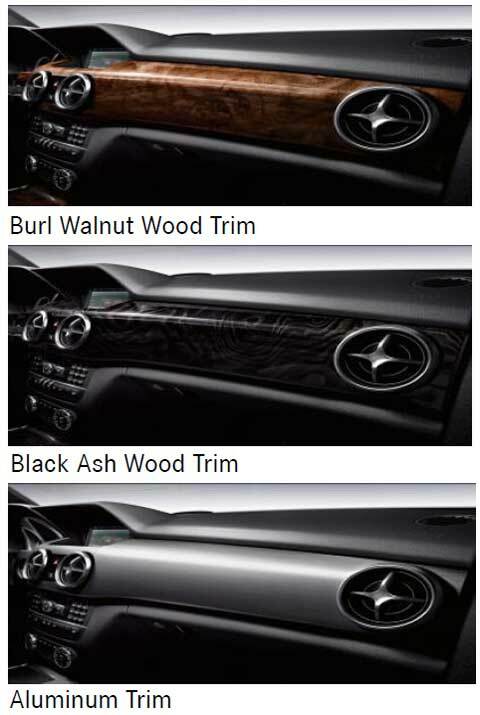 In any case, Burl Walnut is, by far, the most common interior trim you will find on a 2014 GLK. Wheel style can really change the look and feel of a vehicle and it’s one of the options I’ve found that people really care about, more than, say, the color of the interior trim. A particular wheel can change the look and ‘attitude’ of a vehicle pretty drastically depending on its style. All wheel choices for 2014 were either 19″ or 20″. 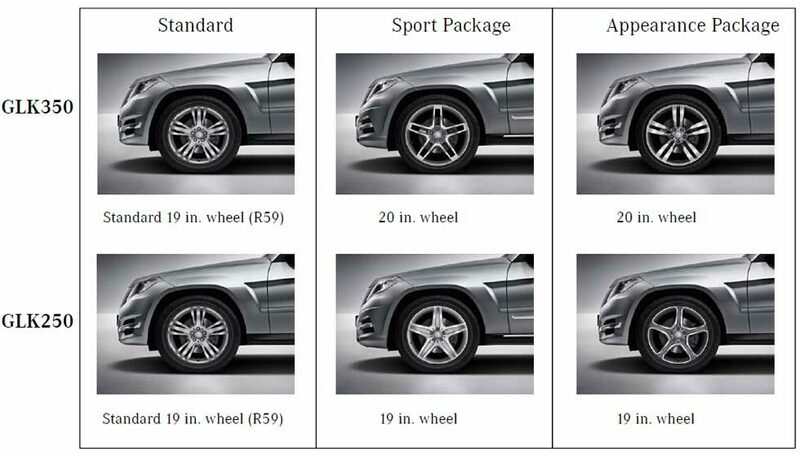 The different wheels for the GLK class were offered in different option packages as you probably saw above. 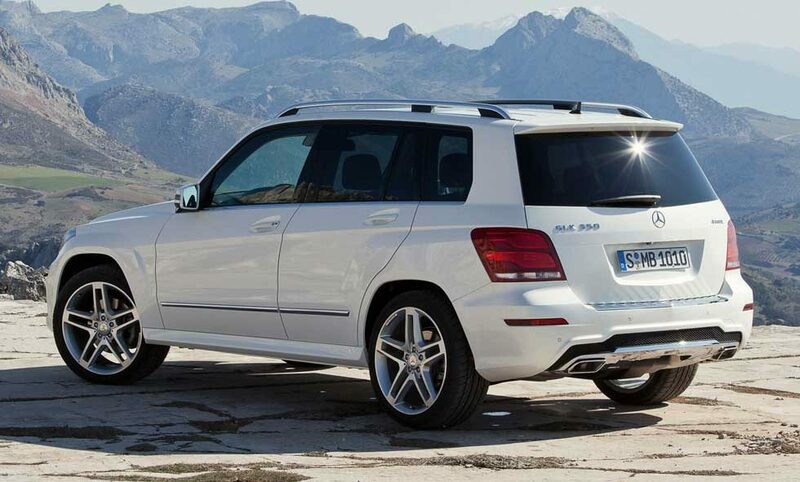 The Appearance Package had its own wheel and the Sport Package had another, both 20″ for the GLK 350. All GLK 250 BlueTEC wheels were 19″. 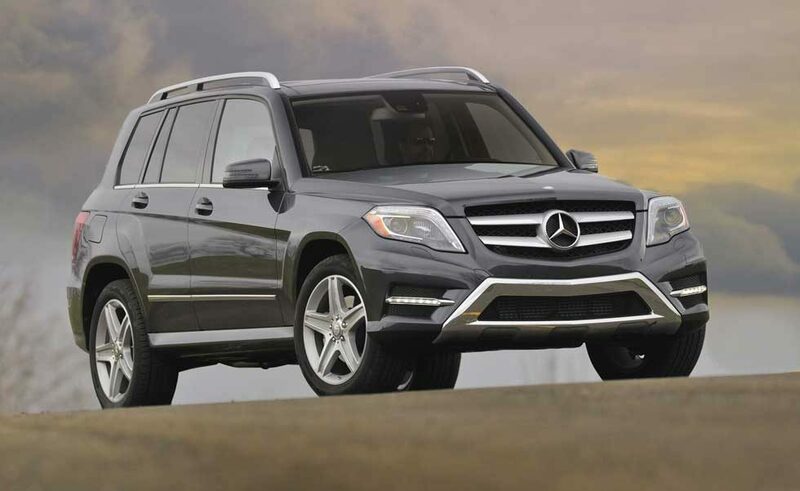 The GLK class vehicles built for the 2010 – 2014 model year have proven to be great cars. 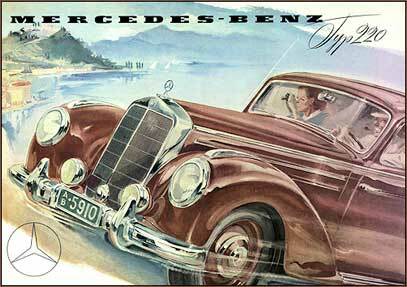 Built on the C class sedan platform but packing the same engine as the larger E class sedan and M class SUV they’re fast and fun to drive. Interior space isn’t huge, especially in the back seat, but they are a great vehicle if the size works for you and they get pretty good gas mileage. The 2014 models should average mid to high 20s in terms of MPG over a long distance highway trip. The interior of a 2014 GLK 350 4matic with black leather and Burl Walnut trim.